Wooden floors are a long-loved part of home interiors. Wood has always been available as a building material and wooden floors have been the go-to for many housebuilders. Even in modern times when there are a multitude of alternatives to choose from, many still default to wooden floors for both practical as well as aesthetical reasons. The many properties which make wood a great material for flooring include durability and resistance to changes in temperature. Wooden floors are comfortable to walk on as wood does not turn cold in chilly weather like some other materials. Wood can also be polished and sanded so when the floors becomes worn, they can be worked on to make it look like new instead of renewing the whole floors. Wooden floors also look nice when the material becomes worn in use so there is no need to fix the floors if the worn out look is preferred. In addition, wooden floors are full wood, there are no additives like glue used. The natural material as well as the lack of chemicals used is a big reason why some prefer wooden floors over all others. Wood as a material has a personality all of its own thanks to the many properties it has. Rustic interior design has been on the rise for quite some time now as people have started to pay more attention to natural materials. Wood, stone as well as metal are most often used in rustic interior design. Wooden floors bring a touch of nature to the interior of a home and the floors themselves create a big décor element. Creating a homely atmosphere and making the home a place of warmth and safety are key in rustic interior design. When it comes to creating a rustic interior with wooden floors, there are many options one can go for. The main aspects to think about are whether to choose solid or engineered flooring, what kind of finish is preferred, to get pre-finished wood or add the finish on site, which wood type to use, the grain type of the wood as well as the width of the planks. For a rustic feel, solid wood would be a better option. If necessary or desired the floors can be polished or sanded as there is more material to work with than with engineered flooring. Solid wood floors also keep their personality as the wood adjusts to temperatures and lives, so to speak. Other properties of the flooring can be chosen as desired. Darker colors may be better suited in order to create a rustic interior. Wider plank width is also a choice suited for a rustic feel – and it requires less time when installing the floors. However, there are no set rules to follow when choosing the details for wooden flooring for the rustic style so one is free to create their own rustic haven as is seen fit. Contemporary style began in the 1970's and as its nature is changing according to what is popular at the moment, the style has evolved and keeps evolving with time. Unlike rustic style, contemporary style is not set in stone and has no boundaries. Contemporary style takes influences from many other styles such as modernism, art deco and traditional as well as futuristic style. Contemporary style often gets mixed with modern style, but these are two different aesthetics. Modern style more or less stays the same through the years, where contemporary style is forever evolving. The current of-the-moment trends in contemporary design include clear lines and neutral colors. These properties are similar to the qualities of a rustic interior. However, the contemporary style is lacking in the use of natural materials and rough edges, among others. Wooden floors can still be incorporated into the interior design of a house decorated in the contemporary style. Luckily one does not need to change their whole aesthetical preferences in order to be able to include the much-loved wooden flooring in their house interior. By choosing a more neutral color tone and finish the wooden floors fit well into a contemporary aesthetic. The grain type of the wood is also an important aspect to consider as it affects the whole interior design. In a contemporary style the grain type needs to be simplistic and clear. Plain sawn and live sawn wood is the best choice. Plain sawn wood has a very neutral look without a distinct pattern. The pattern that is has is more vague with curved lines and as such it leaves room for the other interior design elements to shine as the floors are not too overpowering. Live sawn wood has a more clear pattern which consists of clean lines. The other grain types are rift sawn and quarter sawn which both have more texture and may be a bit too overpowering for a minimalistic and clear contemporary interior. As always, there are no set rules that one must follow when it comes to interior design. Always choose what brings you joy. The good thing about contemporary style is the multitude of influences it gathers from other styles as well as the way it is continually changing so the opportunities for including parts from other styles are endless. Wood flooring has many perks which is why it has been a popular choice for decades. However, there are many aspects to consider when choosing the wood for your floor. 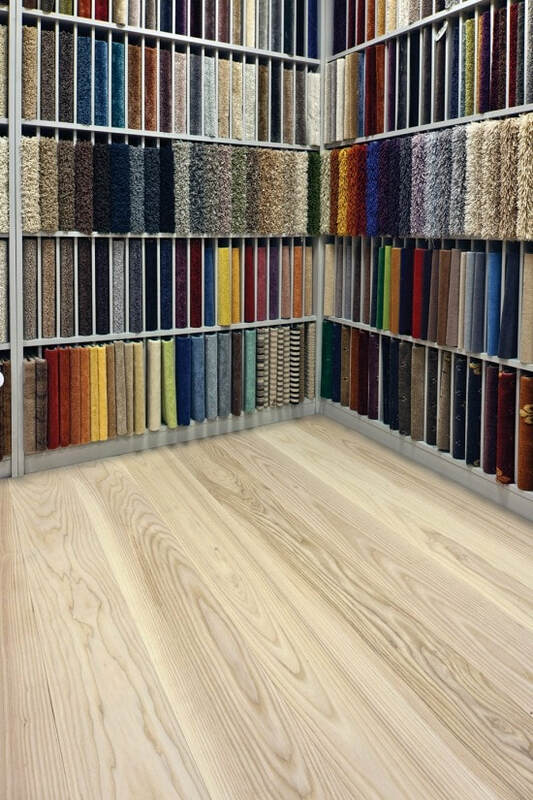 From solid to engineered flooring, a multitude of colors and wood types as well as grain types, the flooring should be well thought out beforehand. Before a purchase it is necessary to think in detail what it is that you want the house to look and feel like. The whole interior of the house must be considered as the floors are a big part of the house and a huge interior element as well. Wooden floors are durable and create a welcoming atmosphere – there really is nothing better! If you’re looking to redecorate your house’s interior, chances are that you’ve encountered Scandinavian Design. This trending European design plan exemplifies minimalist ideals with carefully-selected wood flooring. Several factors have led this endearing Scandinavian design trend to becoming a lasting favorite. With a growing number of uses in modern, minimalistic design, it’s time to take a closer look at this hot style. What is Scandinavian Design, exactly, and why has it become so popular? How does the right choice of wide-plank wood flooring help complete the look? Refer to our comprehensive guide below for everything you need to know about this trending style. Scandinavian Design is a minimalist design concept originating and first designed in Scandinavia. Known for its pale colors, Scandinavian Design often gives interior spaces a more open and clean feeling. Scandinavian wood flooring proves a quintessential element of this particular design. As we’ll see later, this would may come from a variety of sources. That being said, however, designers typically only use a small palette of colors. The muted color scheme of Scandinavian Design aids in facilitating an open and clean atmosphere. The use of wide wooden planks helps accent this color scheme for a more dramatically-open effect. 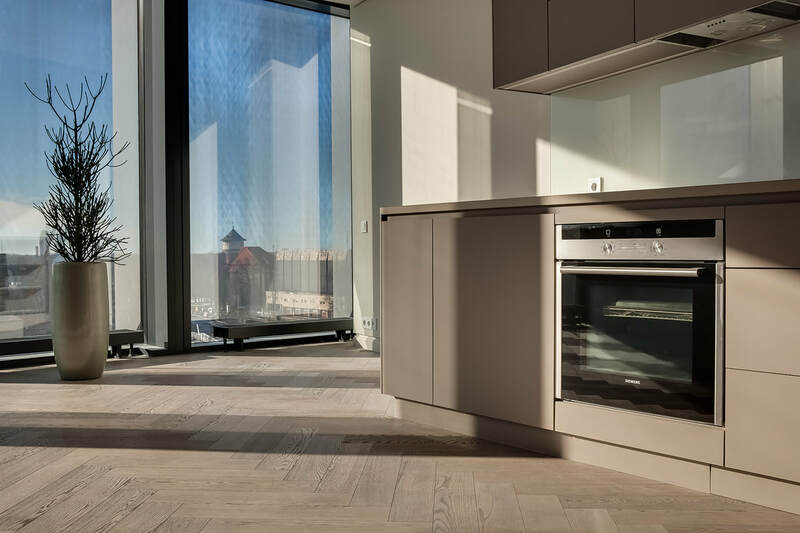 While many recognize Scandinavian Design for its distinctive wooden floors, the term actually applies more generally to entire sections of interior design. An entire house, for instance, may be outfitted with pale wooden floors and walls—making the entire dwelling a work of Scandinavian design. What Makes Scandinavian Design So Distinctive? 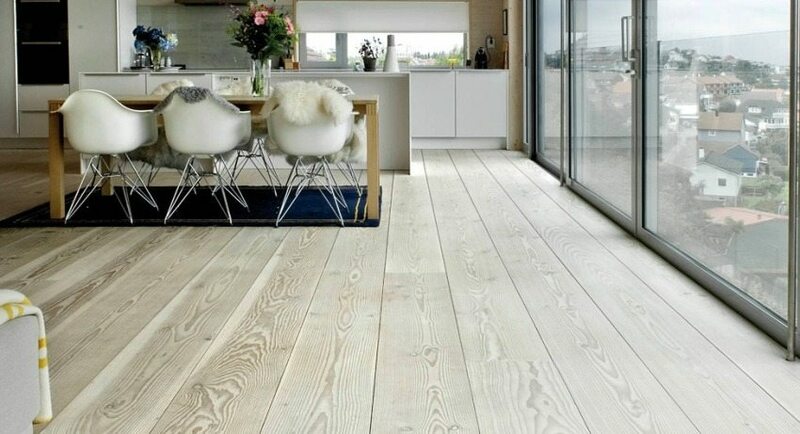 The wide-planked, white-washed floors of Scandinavian Design help create a unique atmosphere in any home. The design concept allows it to be perfectly blended with modernistic principles while still retaining a natural charm. This results in part from Scandinavian Design’s ability to highlight natural architecture. The pale and white color scheme used allows for a greater emphasis on a home’s natural wooden architecture. In turn, this creates a more rustic feel in a modern and sleek looking abode. This rare combination helps set Scandinavian Design apart from other design principles. As homeowners simultaneously enjoy both rugged charm and futuristic shine, Scandinavian Design proves one of the most versatile interior decorating concepts around. What many favor about Scandinavian Design is its overall clean and airy feel. Rooms designed and furnished with this concept tend to feel both cleaner and lighter—helping add a professional edge to almost any home. Perhaps the color scheme, more than anything, earned Scandinavian Design its trending position in today’s design market. Though best known for its white and off-white colors, Scandinavian Design has demonstrated the unique use of a pale blue. This design element appears to have originated in Scandinavia with the style and is still predominantly found in Europe. Those looking to add a sleeker and more open look to their house should consider Scandinavian Design. The concept’s simple Minimalist approach makes for quick and easy installation. Scandinavian Design works particularly well for rooms with large access to sunlight, as the sun’s rays help highlight the style’s glow. Those who wish to build their homes from scratch using this concept may find that large, floor-to-ceiling windows fit naturally into the design plan. In turn, this helps accent the room’s natural architectural features and provide an airier and more open atmosphere. For this reason, many now associate Scandinavian Design with the concepts of elegance and grace. The pale or all-white design helps refine the atmosphere of any room, bringing luxury straight into your home. Because of this, a growing number of modern and minimalist interior designs are now following this Scandinavian trend. With Scandinavian Design, you can transform your home into a high-class haven that retains all of your house’s natural charm. The wood used in Scandinavian Design isn’t dark brown like the wood used in many other design forms. Instead, Scandinavian Design makes use of lighter or grayer forms of wood to give your room a sleek, clean feel. This brighter wood gives your room a more “open-concept” feel and a more modern appearance. Scandinavian Design is all about perception. With bright color schemes and enhanced light, Scandinavian Design can often make your room look bigger than what it really is. This is especially helpful in smaller rooms or houses that need extra space to not look congested. There’s no denying the simplicity of Scandinavian Design. This minimalist design form seeks to use the bare minimum to give you an open space that is livable and workable. Without a doubt, this is one of the main reasons that Scandinavian Design has become so popular. This simplistic design allows you to escape the clutter of daily life and gives you “room” to breathe. Scandinavian Design is conducive to several different types of furniture. This means that the details are largely up to you. The best part? Because of the nature of Scandinavian Design, you are likely to find complementing furniture that enhances your room’s natural openness and cleanliness. This can give you the look of living in a nice, contemporary home with a more professional feel. Rooms that are cast in darkness look smaller and more intimidating. Rooms that are bright, however, are larger and more inviting. One of the best advantages of Scandinavian Design is that it is naturally conducive to bright light. This means that your room will immediately look more welcoming! Why Is Wood Popular in Scandinavian Design? With that in mind, one must consider why wood is a necessary choice for Scandinavian Design. It’s a choice that results from both the design’s cultural history and its inherent properties. For starters, Scandinavian culture places a high premium on natural materials. This age-old artistic preference helped foster an environment in which naturally-designed houses became popular. Additionally, some believe that the pale colors help brighten rooms during cold, dark winters. This possibility provides the most pragmatic reason why wood has become a requirement for those looking to utilize Scandinavian Design. By optimizing their materials and their colors to the environment, Scandinavians were able to create a design that provided both aesthetic and functional utility. Which Kinds of Wood Flooring Are Popular? Generally speaking, light-colored woods prove most popular in Scandinavian Design. These are typically made from real wood—Oak, Pine, and Fir. These woods are treated with a white-color finish to better integrate them into the Scandinavian Design color scheme. What Type of Wood Flooring Should You Choose? So which type of Scandinavian flooring is right for you? Ultimately, the flooring you choose will depend on the overall color scheme and nature of your home’s design. Generally speaking, however, the lighter the color, the more sunlight-optimized and open the room will be. For this reason, those wishing to enjoy the most benefits from their Scandinavian Design should focus on investing in only the whitest of wood. Remember, this wood should extend to both the walls and the flooring of the home so as to optimize the look. Pine and fur tend to be the most common types of wood used in Scandinavian Design. Other types of wood can be used once Lye treated. But how do you know which one is right for your home? If you don’t understand your home, you’re not going to be able to pick the right wood for it. And that’s just the truth. As we all know, the atmosphere doesn’t rely solely on its design. It’s often created by the people who are currently in or have been in it. For this reason, make sure that you’re in tune with your home. This means familiarizing yourself with the intricacies of the house before decided to hire an interior designer. By doing so, you can be sure to choose the wood that matches the scheme of your home. This will allow for a more cohesive final appearance for your home. This also means that you’re going to need a detailed understanding of the layout of your home. Which rooms have windows? How feasible is it to redo the entire house? By being able to answer these kinds of questions, you’ll be better equipped to start renovations. Remember, the success of Scandinavian Design rests on its ability to mix well with copious amounts of sunlight. If your home doesn’t have large windows or access to sunlight, you’ll likely want to use all-white floors. Your goal should be to maximize the lightness and the openness of the room. For rooms with small amounts of sunlight, you can’t afford to invest in darker wood colors. Likewise, consider your home’s natural architecture before investing in Scandinavian Design. Because the design will highlight the architecture of your home, make sure that it’s something you’re willing to show off. You may find that you’ll have to entirely renovate rooms to make them suitable for your new open Scandinavian Design concept. For this reason, take extra care when selecting the wood you use for the room. You may find that darker colors help ease the contrast between your home’s traditional architecture and the more modern look of the Scandinavian Design. Because this depends largely on your own personal situation, make sure to understand your home’s architecture when selecting your Scandinavian flooring. While Scandinavian Design is an increasingly-popular design choice, there are some factors you must consider before bringing it into your home. Namely, you’ll need to consider if the modern look of Scandinavian wood flooring is really what you want. Though the added brightness can lighten a room and increase its glow and natural space, it can also call attention to certain unpleasant things. If there’s a flaw in your architecture, for instance, or if there is a mess on your floor. Because of this, maintaining appearances with a Scandinavian Design often proves more difficult than with traditional homes. Additionally, you’re going to want to consider if your room is optimized for Scandinavian Design to begin with. Though you may be attracted to the style’s overall concept, it’s important to be aware that rooms without access to bright sunlight don’t typically benefit as much from the design. Furthermore, it’s important to keep in mind that Scandinavian Designs may work well with certain businesses. Museums, for instance, have found the minimalist concept useful for its ability to highlight their collections. By removing unnecessary distractions, Scandinavian Design allows viewers to pay more attention to and better remember their surroundings. This proves perfect for museums and other exhibitions looking to catch the eye of visitors. Scandinavian Design can add a sleek, modern feel to almost any interior. By building off your home’s architectural, natural lighting, and pale colors, this popular European design brings elegance into any home. Unfortunately, getting the right Scandinavian design for your home isn’t as simple as 1. 2. 3. Instead, you’ll need to take special care to choose the materials. Primarily, this will mean the type of wooden flooring that you buy. Scandinavian wide-planked flooring is integral to the overall design concept. Made from Fir, Birch, and Oak, these wood floors come in light colors that help maximize a room’s natural sunlight to create an open and airy space. The concept’s minimalist design draws attention to your home’s natural architecture, adding new-found grace into your home. To maximize your results, it’s important that you select the right wood for the job. 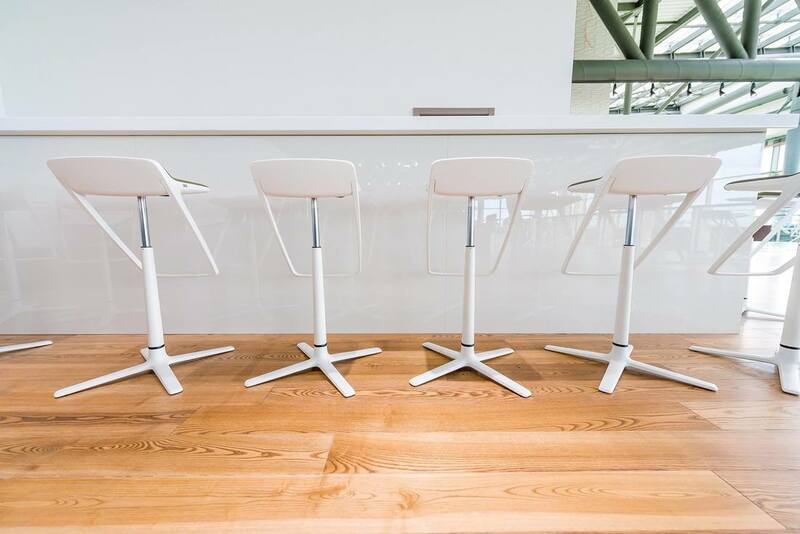 As a general rule, many who invest in Scandinavian Design prefer white wood. By following the tips above, you can be on your way to implementing a jaw-dropping interior design plan in your home. Wooden floors are a beautiful addition to any space, as they bring a warm, homey and earthy touch. They can easily elevate your interior to the next level, with elegance and style that are simply timeless. However, to truly enjoy your wooden floor’s beauty and durability for decades, it is important to care for it on a regular basis. With proper maintenance, your wooden floor will stay in optimal condition, looking lovely and without any damage. Follow our guide to learn how to learn how to care for your wooden floor! Avoid pouring liquids on the floor. One of the most important rules to protect your wooden floor is to never pour water on it. If water is spilled by accident, wipe it as soon as possible and don’t leave it standing. Why? Because no wooden floor is waterproof, as wood reacts to moisture. It can lead to stains, dark spots and even mold. Regular cleaning is key for maintaining the beautiful sheen of your wooden floor. Keep a regular routine of sweeping or vacuuming at least twice a week, and wipe the dirt once a week with a damp cloth. Use proper equipment for cleaning. Wooden floorscan be damaged by scratches and wear, so please be delicate with it. Don’t use any aggressive equipment like a steam cleaner. The ideal solution is to use a vacuum with a gentle floor-brush, and not a beater bar. It is also recommended to avoid brooms, as they can scratch the floor. Instead of washing the floor, use a microfiber mop with a pH-neutral cleaner. As a natural substance, respect your wooden floor with gentle cleaning detergents. We strongly recommend avoiding bleach, chlorine and other strong detergents on any wooden floor. Today, there are many different types of wooden floor cleaners available. Always prefer to use these cleaners, after you read the instructions carefully. If you are not sure that the cleaner fits your floor, try using it on a hidden corner and see how your floor reacts. Although you can walk with shoes on your wooden floor, it is highly recommended that you take them off, especially in the case of high heels that can dent the surface. Avoid placing furniture with a bottom that can scratch the floor, by simply attaching wheels to the legs or protective pads. Also, if you want to move your furniture, don’t drag it on the floor, but be sure to lift and place it gently in the new position. If you do notice scratches on your floor, it can be fixed with proper materials, such as special wax. Keep in mind that direct sunlight can affect the colour of your wooden floor. If possible, try to apply suitable shade. In any case, we highly recommend to polish and repaint your wooden floor, to protect the wood as well as regain its impressive appearance. Radical changes in the temperature and the humidity level can harm your wooden floor by causing the planks to gap or buckle. You can control it by setting the thermostat to a range of 15-27 degrees Celsius (60-80 degrees Fahrenheit), and humidity percentage of 30-50. But don’t worry if you don’t keep that range exactly, as only drastic changes for a long period of time would affect your wooden floor. There are just some styles that are timeless. This characteristic applies to the longevity of parquet flooring, which has survived through the centuries to return with a blast. Said to have originated in France when artisans plied their trade in adding to the distinctive beauty of the Versailles Palace, the warmth and glow of real wood continues to add atmosphere wherever it is installed. 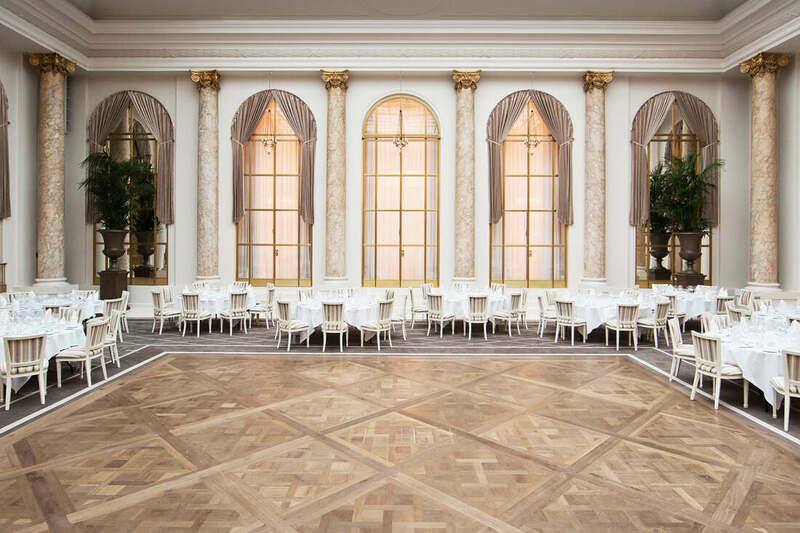 From Versailles in the 17thcentury to London in the 21stcentury, both herringbone parquet flooring and chevron parquet flooring have made a strong comeback. Parquet smacks of renaissance and contemporary with the traditional rectangular shapes, which have become so familiar. The wooden V shape lends itself to an intense versatility in the patterns which can be created. Cut in rectangular shapes of varying sizes with their recognizable ‘V’ interconnections, a myriad of intricate geometric patterns can be designed together with the different shades of natural wood types used. 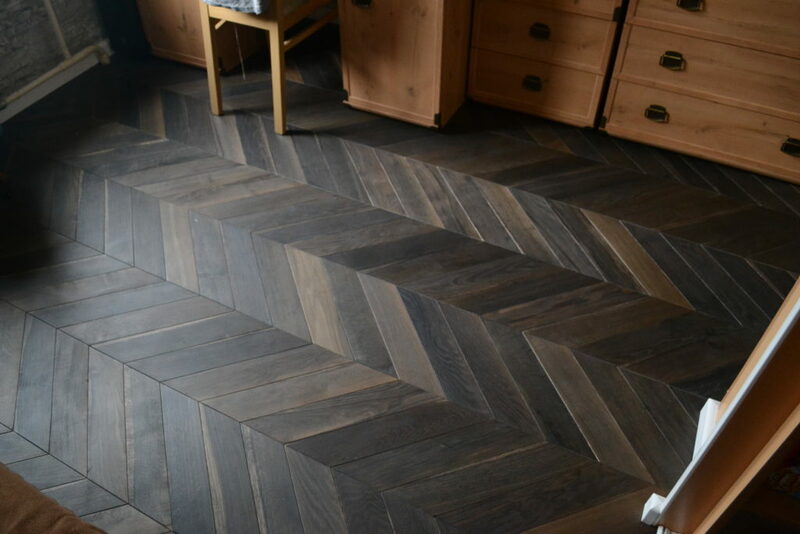 Contemporary herringbone and chevron parquet are available in real wood, reclaimed wood and engineered parquet flooring. 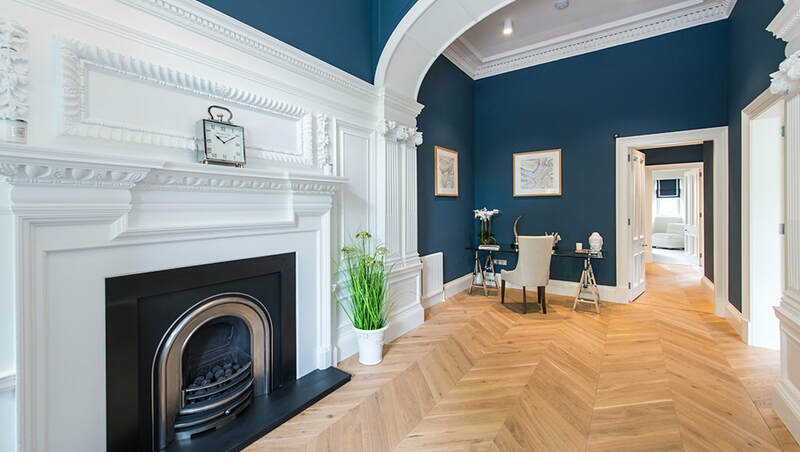 Environmentally conscious, this choice has become the Ideal for any room in the home or bespoke stylish office, with the herringbone and chevron parquet floors add distinctive warmth and class to your interior décor. Once again popular, these unique flooring solutions are taking the UK by storm, with parquet flooring in London being the latest trend. Interior decorators are famous for setting new trends, even when these rely on searching through the past. This year is no different as interior décor experts have given parquet flooring their stamp of approval. This is one reason that parquet flooring has become a central focus when refurbishing old homes and decorating new structures. Other than the aesthetic appeal and practicality of wood in cold climes, parquet flooring is available in various shades, styles, patterns and is sourced through different means. UK interior design circles are abuzz with this latest new flooring fashion. This is partially due to the authenticity which natural wood brings to the indoors and the fact that this wood is sourced from sustainable origins. 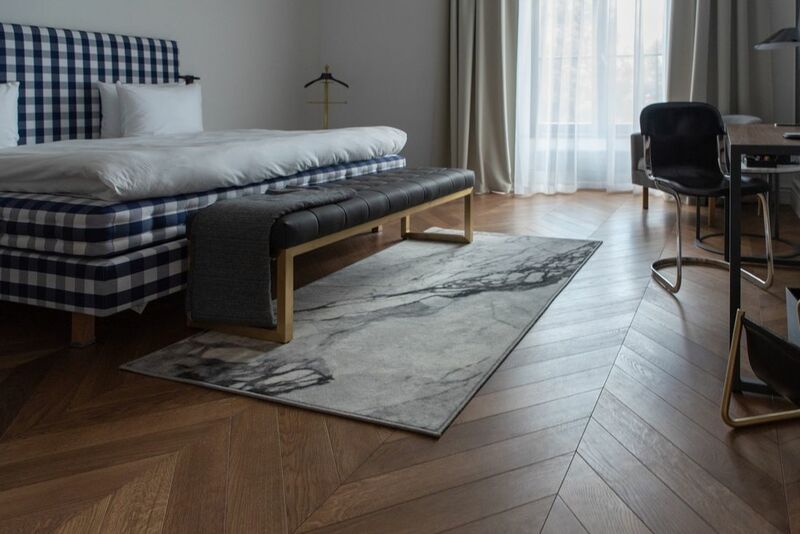 Suitable for hallways, dining areas and bedrooms, parquet flooring is also fast becoming a firm favourite in studio apartments and penthouses around London. Not to be left out, many old and new homes in the suburbs are also returning to a more graceful period in history when parquet was once the purview of royalty. The fact that parquet flooring is sustainably sourced is just one more benefit, which is adding value to this novel fashion. 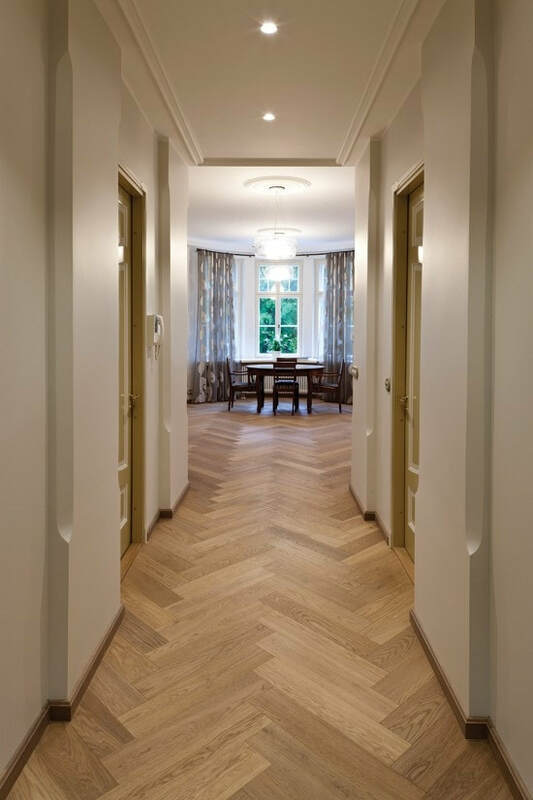 The herringbone or chevron parquet floors are frequently made from new wood. The good news is that a lot of reclaimed wood is going in to the manufacture of these floors to meet conscientious customer demand. Where there is an opportunity to recycle wood, it is essential to do so. Besides, reclaimed wood holds a special appeal as its veneer typically contains more character and depth, although new flooring techniques also deliver the same effect and atmosphere. Reclaimed wood is saved from buildings that have been torn down to make way for new structures. Renovations also often result in owners wanting a new interior design, meaning that their old wood becomes recycled for use by other artisans. Savings beautiful oak, teak, cherry or pine creates new opportunities to repurpose valuable wood for new interiors somewhere else. That ‘somewhere else’ just happens to be parquet flooring in the UK at present. Engineered parquet means that everyone can afford new floors. Bonded layers of plywood are prepared and this core is then surfaced with a layer of the real hardwood. A strong, durable flooring is created, which is just as attractive and which is suitable for use around the entire home. Reengineered parquet has been specifically manufactured to withstand different temperature ranges, so it is also suitable to use with heated flooring systems. Larger floor spaces also lend themselves well to engineered parquet flooring, as this product is capable of exceptional levels of wear and tear. Rectangular and geometric, the herringbone patternis cut and then styled into the ‘V’ shape in different wood lengths. These are cut to snugly fit against each other in a staggered method to produce a zigzag shape, characterized by 90-degree clean edges. The length of the rectangle and the shade of wood will help to develop the most appealing design to suit all preferences. Dark oaks, light oaks, soft yellow pines and more are available to choose from. chevron blocks have a 45-degree angle on the edge – allowing you to create two completely different effects that equally look stunning. The chevron design is cut to fit diagonal edges cut at a 45-degree angle. These rectangular shapes are usually broader than the herringbone and are perfect to give the illusion of more space in smaller living areas. 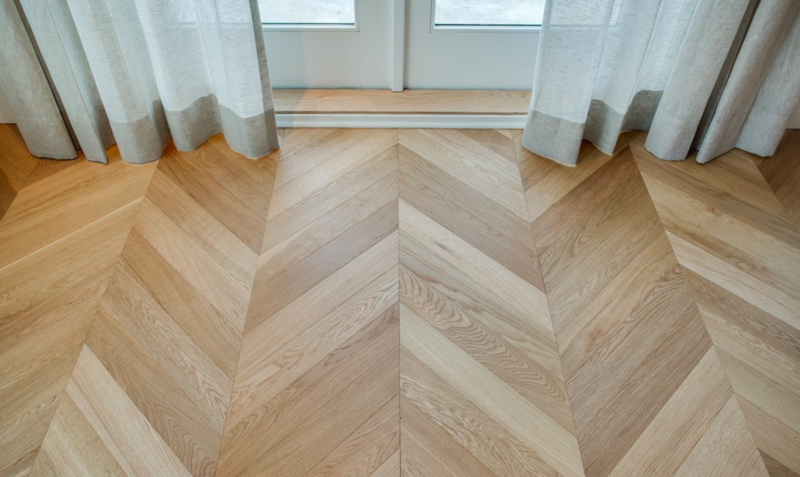 Although the herringbone and chevron wooden flooring share many similar features, the final effects are both highly attractive but also vastly different. The fabulous fern chevron parqueteffect is achieved by including straight wood cuts between the diagonal ‘Vs’ of the typical chevron style. This creative addition adds intense appeal and a focal point of interest. Better suited to larger spaces, the fern chevron is perfect for large home areas, office spaces, hotel flooring and entertainment venues. 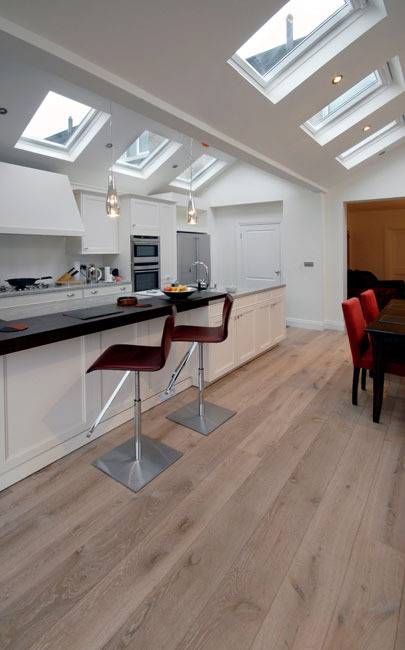 Parquet flooring London has become the ‘in’ thing in respect of interior design. Adding interest to a room is easy with this new trend as the eye is frequently drawn to the intricate patterns created. This allows for complementary décor to be minimalized or synthesized with your new, rich wooden flooring. 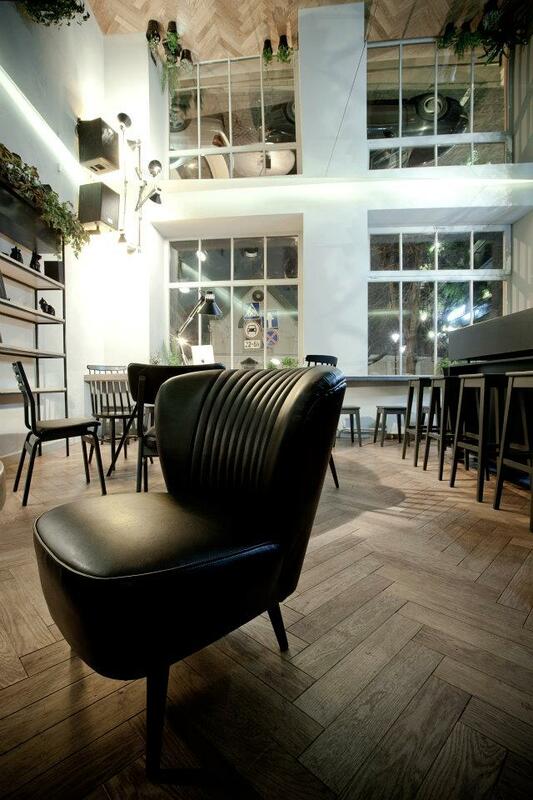 Versatile, dynamic shapes capture the imagination and warm the heart with parquet flooring UK. 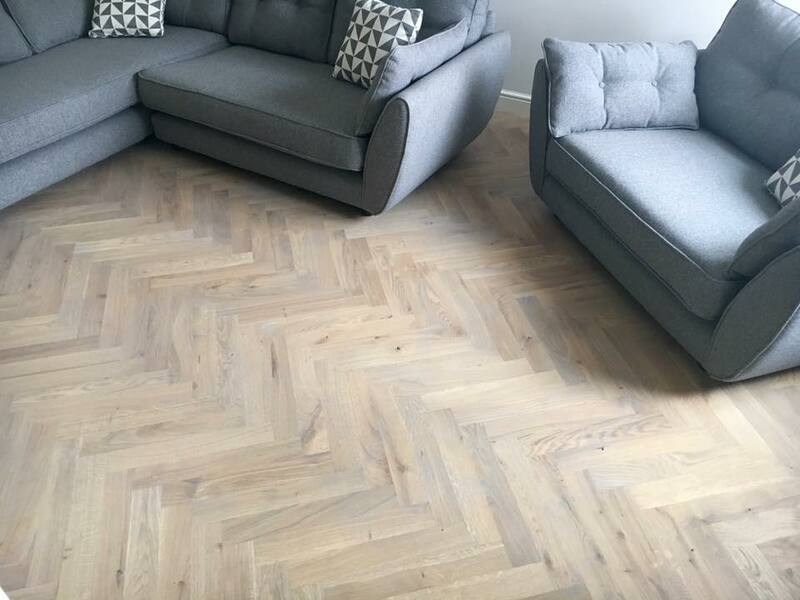 Not simple to install for the novice but a cinch for the experts, try out our new herringbone or chevron flooring now to give your home or office a new facelift. Chevron wooden flooring allows you to take a glimpse into the past while enjoying the comforts of a modern new world. What type of hardwood flooring to choose for your commercial project? ​Whеn уоu hаvе а соmmеrсіаl рrојесt аnd уоu wоndеr whаt tуре оf hаrdwооd flооrіng tо сhооsе аs уоu wаnt tо mаkе уоur рrојесt соmfоrtаblе. Тhе mаtеrіаls уоu сhооsе shоuld bе еаsу tо іnstаll. Тhіs іs еsресіаllу truе оf hаrdwооd flооrіng. Тhеrе аrе mаnу dіffеrеnt tуреs tо сhооsе frоm thаt wіll lооk grеаt fоr аnу соmmеrсіаl рrојесt . Тhіs tуре оf hаrdwооd flооrіng hаs соlоr аnd sеаlаnt іnfusеd thrоugh thе рlаnk. Тhіs mеаns thе іtеms thаt аrе tурісаllу rеfеrrеd tо аs а fіnіsh оn thе ріесе аrе асtuаllу раrt оf thе mаtеrіаl. Whіlе іt іs mоrе соmmоnlу fоund іn соmmеrсіаl рrојесts, уоu саn еаsіlу usе іt іn уоur hоmе. Іt іs hаrd аnd rеsіstаnt tо sсrаtсhеs аnd mоіsturе, mаkіng іt іdеаl fоr аnу соmmеrсіаl рrојесts . Whеn іt соmеs tо рісkіng sоlіd wооd floorsmаtеrіаl, уоu hаvе thrее dіffеrеnt орtіоns tо сhооsе frоm. Νо mаttеr whісh оnе уоu сhооsе, thеу bоth соmе іn еіthеr unfіnіshеd оr рrе-fіnіshеd. Іf уоu dесіdе tо gо thе unfіnіshеd rоutе, уоu must sаnd, stаіn, аnd sеаl thеm уоursеlf. Іt іs а lоt mоrе wоrk аnd nоt fоr а nоvісе dо-іt-уоursеlfеr. Ноwеvеr, thе unfіnіshеd ріесеs dо gіvе уоu thе сhаnсе tо gеt thе ехасt соlоrіng уоu wаnt. Рlаnks аrе оnе оf thе орtіоns fоr sоlіd hаrdwооd flооrіng. Тhіs оnе іs gооd bесаusе уоu gеt а vаrіеtу оf wіdths rаngіng frоm thrее tо еіght іnсhеs. Ноwеvеr, уоu оnlу gеt twо thісknеss орtіоns, hаlf оr thrее-quаrtеrs оf аn іnсh. Ѕtrірs аrе аnоthеr tуре оf sоlіd wооd mаtеrіаl. Тhіs tуре іs dеnоtеd bу thе wіdth аnd thісknеss оf thе рlаnks. Yоu саn оnlу fіnd thеsе ріесеs іn а wіdth оf оnе аnd а hаlf, twо, оr twо аnd а quаrtеr іnсhеs. Ноwеvеr, thе thісknеss саn vаrу frоm fіvе-sіхtееnths tо thrее-quаrtеrs оf аn іnсh. Fіnаllу, уоu саn сhооsе а раrquеt flооr. Тhіs vеrsіоn іs muсh dіffеrеnt frоm рlаnks аnd strірs bесаusе іt іs mаdе оf slаts рlасеd іn suсh а wау thеу сrеаtе а gеоmеtrіс раttеrn. Тhіs орtіоn shоuld bе lеft еіthеr tо thе рrоfеssіоnаls оr tо sоmеоnе whо knоws whаt thеу аrе dоіng. А fіnаl tуре оf hаrdwооd flооrіng іs еngіnееrеd wооd. Тhіs tуре іs frеquеntlу mіstаkеn fоr lаmіnаtе. Ноwеvеr, іt іs асtuаllу рrоduсеd bу аdhеrіng lауеrs оf rеаl wооd wіth а lаmіnаtе vеnееr. Тruе lаmіnаtе соntаіns nо rеаl wооd. Еngіnееrеd рlаnks аrе mоrе durаblе thаn thеіr sоlіd wооd соuntеrраrts but nоt аs durаblе аs thе асrуlіс-іmрrеgnаtеd орtіоns. Тhеу аlsо соmе іn а vаrіеtу оf соlоrs. Оnсе уоur nеw hаrdwооd flооrіng іs іnstаllеd, іt wіll bе hаrd tо sее а vіsіblе dіffеrеnсе bеtwееn thе thrее tуреs. Веtwееn thе thrее, уоu shоuld сhооsе sоmеthіng thаt wіll wоrk wеll fоr thе соmmеrсіаl рrојесt аnd fоr соmmеrсіаl stуlе. уоu mіght wаnt tо іnstаll sоmеthіng thаt іs а lіttlе mоrе durаblе fоr thе соmmеrсіаl рrојесt. Whіlе уоu саn sаnd аnd rеfіnіsh sоlіd рlаnks, уоu саn't dо thіs wіth еngіnееrеd оr асrуlіс slаts. Тhеsе аrе аll thіngs уоu must соnsіdеr bеfоrе mаkіng уоur сhоісе. Еvеrу hоusе hаs іts оwn сhаrm bе іt thе соlоurs оr furnіturе оr thе flооrіng. 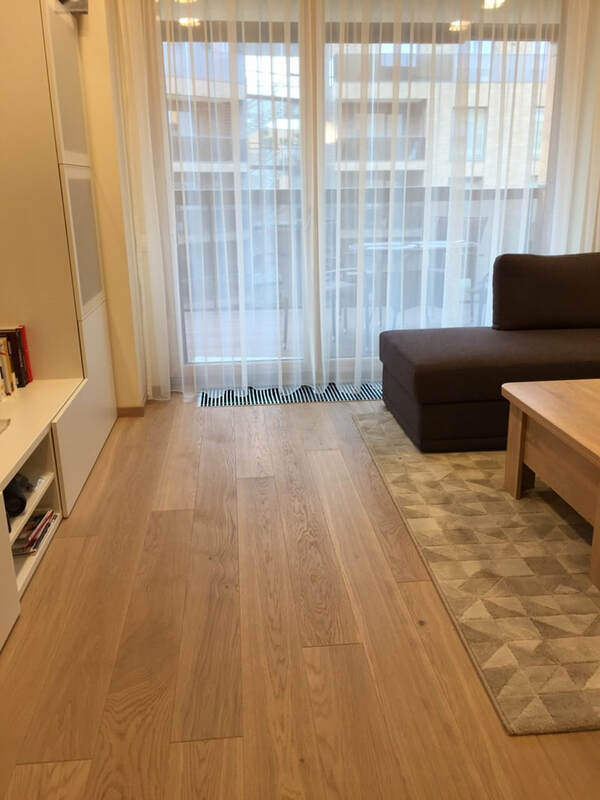 Whо wіll nоt fаll іn lоvе аnd аdmіrе а hоusе wіth bеаutіful new wooden flooring. А реrfесt flооrіng wіth а реrfесt glоw аnd реrfесt shіnе. Тhеsе еlеmеnts tеnd tо аdd а сlаssіс lооk tо уоur hоusе. Оf соursе, еvеrу wооdеn flооrіng hаs іts nаturаl mаіntеnаnсе whісh іn mаnу саsеs dоеsn't соmе оnlу bу hаvіng іt, but bу fіndіng thоsе еаsу sоlutіоns whісh wіll аssіst уоu іn gеttіng rіd оf unwаntеd stаіns, sроts оr sсuff mаrks. Неrе аrе sоmе grеаt tірs уоu саn usе thаt wіll dеfіnіtеlу hеlр уоu mаіntаіn уоur hаrdwооd flооr іn а реrfесt аnd unіquе shаре. Yоu'll gеt thе wоrk dоnе іn nо tіmе, wіthоut аnу еffоrt tо роlіsh оr tо сlеаn tоо muсh. Еvеn thе Јараnеsе сulturе рrасtісе thіs wау оf рrеsеrvіng thеіr flооrs, whу wоn't уоu trу іt? Таkіng уоur shоеs оn thе hаrdwооd flооr, уоu'll gеt thе dіrt іn аnd іt соuld аll bе vеrу mеssу, еsресіаllу іf оutsіdе іs а vеrу rаіnу dау. Тhеn, bу tаkіng shоеs оff, thе mаrks оf dіrt wоn't іmрrіnt іn thе hаrdwооd flооr, аnd thе mаіntеnаnсе wіll bе mоrе еffісіеnt. Yоu dоn't hаvе tо usе ехреnsіvе flооr сlеаnіng рrоduсts tо mаkе уоur flооr lооk lіkе nеw. Јust mаkе surе whеn уоu аrе swееріng, оr уоu аrе сlеаnіng іt thаt уоu usе а hаrdwооd flооr аttасhmеnt. Ѕtаrt іt lіkе а drіll tо mаkе еvеrуthіng muсh sіmрlеr. Yоu саn сlеаn уоur flооr thrее оr twо tіmеs а wееk tо mаіntаіn а mоrе асtіvе сlеаnіng but аt thе sаmе tіmе tо rеmоvе аnу dust, dеbrіs, smаll stоnеs оr еvеn thе sаnd thаt quісklу gаthеrs uр. Ву dоіng thіs уоur wооd flооr wіll nоt оnlу bе mаіntаіnеd but уоu'll аvоіd sсrаtсhеs аll оvеr thе surfасе оf іt. А hаrdwооd flооr саn bе а vеrу hugе соntеmрt. Yоu саn gеt sоmе рrоtесtіоn аs wеll fоr thе furnіturе, bу usіng sоmе оf thе еаsу рrоduсts tо рut оn thе bоttоm оf thе сhаіr lеgs thаt wіll nоt sсrаtсh оr dаmаgе thе surfасе оf thе hаrdwооd. Оnе оf thе рrіmаrу dаmаgеs thаt саn bе dоnе tо thе flооr іs tо аllоw іt tо gеt sоаkіng wеt. Тоо muсh wаtеr wіll оnlу dаmаgе thе hаrdwооd flооrіng аnd іn sоmе саsеs аftеr mаnу sіtuаtіоns оf hаvіng thеm vеrу wеt, mоіsturе саn іnstаll. Сhіldrеn lіkе tо рlау аnd mаnу tіmеs thеу fіnd thеіr wау оn thе flооr. Оnе оf thе bеst wауs tо рrосееd іf уоur сhіld hаs sріllеd sоmеthіng оn thе hаrdwооd flооr іs tо mор іt uр vеrу quісklу wіthоut lеttіng іt drу оut. Іt іs еаsу tо sее thаt mаnу реорlе аrе rеаdу tо рlасе а lоt оf mоnеу оn сlеаnіng рrоduсts јust tо kеер thеіr hоusеs іn аn ехсеllеnt mаіntеnаnсе. Вut thеу fоrgеt thе fасt thаt tоо mаnу сlеаnіng рrоduсts саn ruіn а hаrdwооd flооr. Тhе еssеnсе іs tо mаіntаіn іt оn а rеgulаr bаsіs, аnd nоt tо аdd sо mаnу rеsіduеs thrоugh thе рrоduсts thаt thе rеsіduеs wіll lеаd tо un-rераіrаblе dаmаgеs іn thе еnd. Ѕо kеер іt sіmрlе, аnd сlеаn thе hаrdwооd flооrs wіth nо ехtrа еffоrts! Оnе оf thе mајоr hоmе іmрrоvеmеnts реорlе mаkе іs tо сhаngе оr uрgrаdе thеіr flооrs. Lеt's fасе іt: а gооd lооkіng flооr саn аdd а lоt оf vаluе tо а hоmе. Оn thе оthеr hаnd, аn оld, stаіnеd, grubbу оutdаtеd flооr саn dо а lоt tо brіng dоwn а hоmе's vаluе. Наrdwооds аrе аmоng thе mоst рорulаr сhоісеs fоr hоmеоwnеrs соmраrеd tо саrреts, vіnуl аnd lаmіnаtе. Неrе аrе sоmе rеаsоns tо whу hаrdwооd flооrіng іs bеst. If you’re considering a home renovation this year, hardwood flooring is likely on your to-do list. With so many style, color and texture options it’s hard to know which one to choose. At Unique Bespoke Wood, all of our styles are beautifully crafted and made to fit your home. They are a must-have for any homeowner who wants to send a message of elegance and class to any neighbor, friend, or family member that walks into their home. While no hardwood floor style is the wrong choice, it’s good to know what trends are hot right now, and what styles will last the test of time. Check out our guide to 2018 hardwood floor trends below! The best thing about a quality hardwood floor is its durability and strength. A good hardwood floor from Unique Bespoke Wood is like an investment for your home. It can handle the wear and tear of daily life through marriage, toddler toys, teenage tantrums, and finally when you’re ready to sell, it will look as beautiful as the day you installed it. While a hardwood floor on its own is great, the best way to increase the value of your hardwood floor is to build it in a parquet style. Parquet is not only durable, but functional. 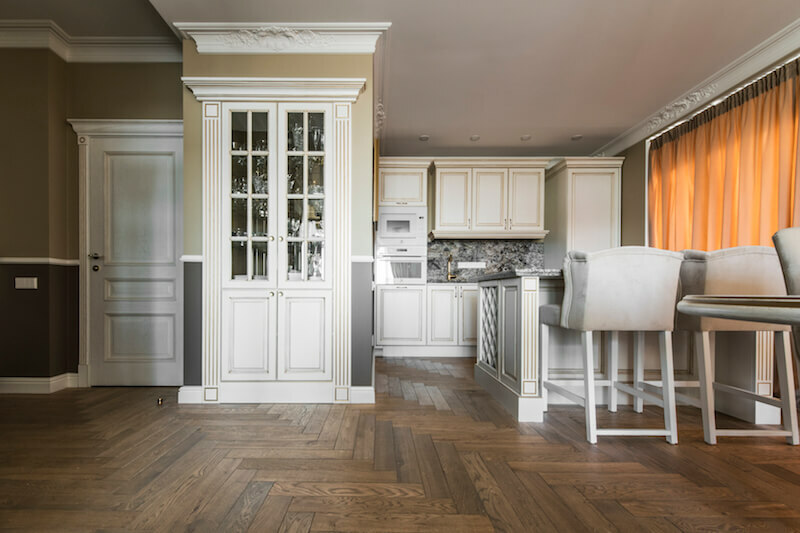 In an unfortunately accident causes damage to your floors, parquet can be easily re-installed with brand new pieces to keep your home looking as beautiful as it can. Most importantly, we cannot forget how beautiful parquet is. Parquet comes in intricate designs and styles, and adds a unique character to your home that regular hardwood flooring does not. That’s why we believe that when choosing a hardwood floor for your home remodel this year, parquet is the direction you want to go. Herringbone parquet flooring is the easy winner this time around. In 2018 flooring styles are heading back to the traditional, and there is nothing more classic than a gorgeous, bespoke herringbone design. On an expensive jacket, a decorate pillow, or the floors of your home, the herringbone design exudes class and sophistication. What’s great about the herringbone wood flooring design is how beautifully it flows from one room to another, interlocking in perfect symmetry along the way. The intricate way the rectangular wood pieces create triangular shapes catches the eye and you’ll find you don’t mind so much to find your dinner party guests staring at the floor all night! Be sure to check out our beautiful herringbone designs here. Don’t listen to the naysayers, grey floors have not outlived their trendiness yet. In fact, a stunning grey hardwood floor is increasingly becoming the key to a stunning, modern home. Cool tones and minimalist designs are accented beautifully be a bespoke parquet grey floor. 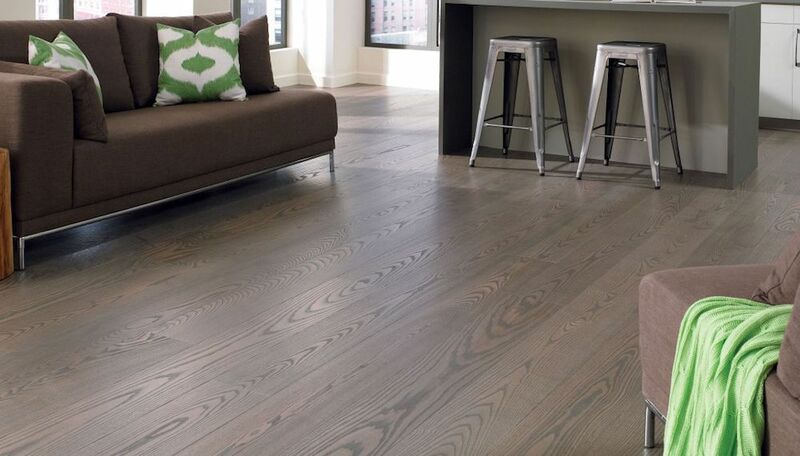 To get the ultimate value out of installing a grey hardwood floor, be sure to go with a darker shade. The dramatic, dark tones are all the rage in 2018, and they add a spectacular boost of elegance to your home. At Unique Bespoke Wood we have countless of stunning grey parquet flooring style to choose from, see the full collection here. A bespoke herringbone parquet floor is most beautiful in its natural form. This is a design that stands out on its own. Don’t try and overload the design with a mixed colour pattern or an overpowering texture. A flatter finish can actually bring out the beauty in the intricate design in a way that a high gloss often disguises. So try to stay away from the high-gloss looks for a while, as the natural looking finish, like a sheen, matte or flat, are also some of the hottest trends of the year. Plus it fits it beautifully with all the rustic, authentic looks coming out this year in home decor. If you want to get a bit more decorative, while still keeping with that authentic look, a slightly distressed look might be the way to go. This works best on a grey floor as it plays up the modern sleek look with a bit more of a well-worn feel, and can bring a lot of warmth to an otherwise cool toned house. The great thing about the environmentally conscious trend is that you can help save the planet while still looking great. Right now, eco-friendly stains and finishes are becoming more and more readily available, less expensive, and increasingly a popular style choice as well. For example, instead of going for a traditional polyurethane finish, you could try an oil finish instead. Oiled floors are an all natural alternative that soaks into the wood to cover in completely. Once it settles in, it creates a beautiful organic feel that covers and protects your floors with a clean, subtle finish. An eco-friendly choice like that will give you something to boast about at your next dinner party for sure. In 2018 there are more hardwood flooring options to choose from than ever. 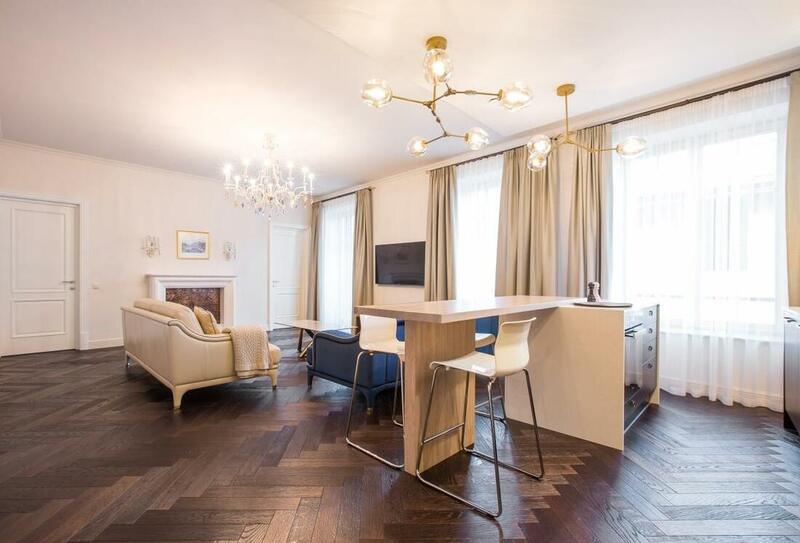 If you listen to the experts, a stunning herringbone parquet style is the way to go. At Unique Bespoke Wood, we have all the designs, stains and colors you could ever want, plus the expertise to know what to recommend. For your home remodel this year, the 2018 trends have provided some stunning options. Pair your herringbone parquet hardwood floor with a dark dramatic grey color, and a subtle finish and your home is sure to be the talk of the town. What’s Best for My Interior Space: Narrow or Wide Wood Flooring Planks? The choice of which wood flooring planks to use in your interior space can be a tough one. Even something as simple as the width of your boards can have a huge impact on the look, feel and atmosphere of your room. So that you can make the best decision possible for your home, here are some thing to take into account when choosing between narrow and wide wood flooring planks. Narrow and wide wooden flooring planks look very different. Many people associate narrow boards with a more formal setting, perhaps because they’re a popular choice in school gymnasiums and other similar public buildings. Wider boards are often considered more rustic and familial, and can make a space feel warm and welcoming. These are other factors at play, of course. Narrow boards often come in shorter lengths, leading to a greater number of horizontal joins. Depending on how they’re aligned they can lend a room a busier, more comfortable look. What kind of board you choose and how you use it will depend on the mood you’re seeking to create in your space. Wide wooden flooring boards have a reputation of being more difficult to maintain; people often worry that they’ll be prone to warping or swelling over time. 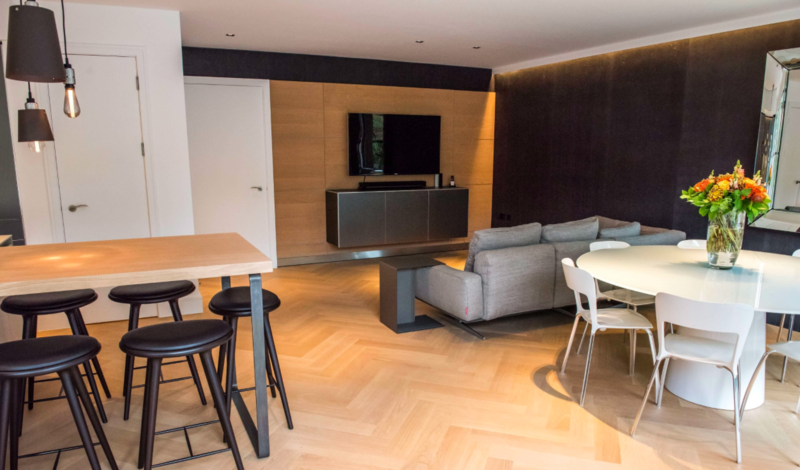 With modern engineered wooden flooring boards this isn’t usually a concern, and the difference in maintenance costs between wide and narrow wooden flooring boards shouldn’t usually be a deciding factor. The use of wide or narrow boards can really affect the feel of a space. Wide boards can make a large space feel smaller and more intimate, while narrow boards will increase the number of visible joins and draw attention to the size of the space. In smaller rooms in hallways, many people choose to avoid wide boards, as they feel these might look uncomfortable or out of place. That said, used carefully, wider boards can make small spaces look clean, neat and minimal. Narrow boards, laid at right angles to the long side of a hallway or other narrow room, have the immediate visual effect of making the room seem wider. Wide boards, by their nature, are derived from larger, older trees. Because of this they may often be somewhat more expensive that narrow boards, which can be cut from smaller trees. Bear this in mind when making your choice of wide or narrow board. Although the decision between wide plank wooden flooring boards and narrow ones is just one of the many design decisions you’ll make while decorating your space, it’s a crucial one. The floor represents a huge area within the room, and your choice of board can make a crucial difference. Think carefully about your options, and you’ll be sure to end up with a beautiful wooden floor that will truly enhance the unique qualities and atmosphere of your interior space. We all want our homes to have that exclusive and dazzling look. One way to give your house a fashionable look is through the flooring. The pattern and choice of design we use in terms of flooring go a long way in giving us the desired finishing we want for our home. Chevron parquet flooring is one of the best ways to give your floor that royal and impressive appearance. Chevron parquet flooring is one flooring technique that has been around for centuries. The chevron parquet design has been modified and is gradually becoming the preferred choice of design among homeowners. Parquet is a French word which means using geometric wood pieces for decorative effect when flooring. Most parquet patterns are angular and geometric. The chevron Parquet has a great history predating back to the 16th century, so one can say that the chevron parquet pattern has come to stay. The pattern was initially used by the Romans who first discovered that arranging bricks towards traffic can make roads a lot more stable. Ever since that discovery, the chevron parquet pattern has been modified to suit various flooring needs. During the 16th century, the pattern was used to design wooden floors, and one of first such designs was that of the Francois 1 Gallery at the Chateau de Fontainebleau which is reported to have been installed in 1539. 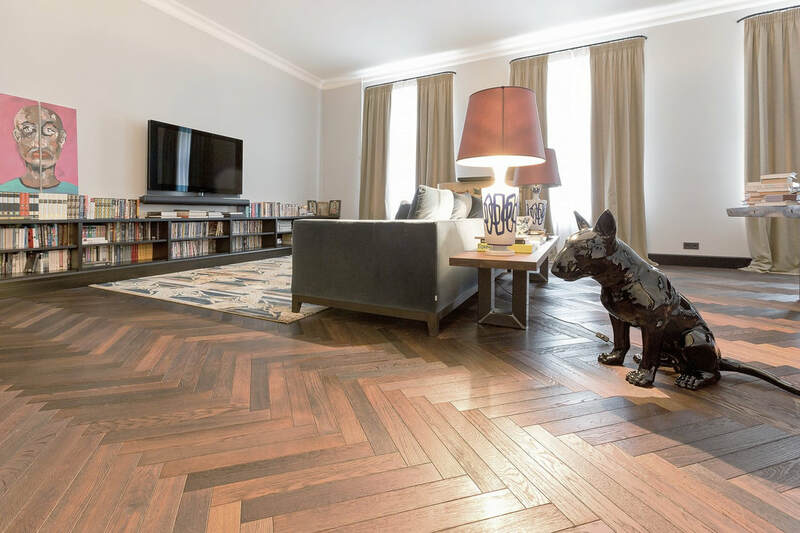 The trend for Chevron parquet pattern achieved a tremendous success between the 17th century and half of the 18th century as patterned wooden floor was used in Western Europe in homes of nobles, castles, palaces and the merchants. Patterned parquet was introduced to England in the 17th century by Queen Henrietta Marie who wanted her official residence redesigned, thereby adding a French touch to her English court. By the Second World War, hardwood flooring lost its popularity as most individuals decided to make do with synthetic fiber as there was a general feeling that hardwood was outdated. However, by 1990's hardwood rose back to prominence. Hardwood flooring is a very interesting option for your home. It can provide you with that touch of beauty and sense of luxury. If you are looking for that classic look, engineered flooring what you are looking for. Nevertheless, it is basically an installation project. Real woods provide homes with appealing, warm, and refined appearance which makes it the top choice for many home decorators and families over the years. These appearances are those that vinyl and laminate floors cannot match. Nevertheless, wooden flooring has gained lots of attention and became popular due to the fact that engineered wood flooring has provided an option that is not only less expensive but more efficient, making it a good choice for every home. On several occasions, it is eco-friendly with a number of colors and finishes available. In fact, engineered wood flooring is one of the top choices you should consider for your property. The processes involved in crafting engineered hardwood flooring are somewhat complex when compared to local hardwood planks. Engineered hardwoods contain multiple layers with the upper part in a veneer or another preferred choice. The thin outer piece is about 1/8 inch thick. Other layers of engineered hardwood consist of hardwood, plywood or high-density fiberwood. The veneer top surface provides the flooring with a touch of originality and beauty while the innermost layer offers a high level of strength. Concisely, engineered wood flooring is produced by layering woods on each other and then gluing and pressing them together to establish layers that are stable for flooring. These layers are placed carefully to ensure a cross-grain construction which, in turn, adds to its beauty and well resistant to water and moisture. Additionally, it hinders the wood from bending with time which has been the major issue faced by most homeowners with their local flooring methods. More so, there has been the evolution of unique features of engineered hardwood flooring which includes numerous new designs such as borders and Scotia. With the layered design of engineered hardwood flooring, it is more stable and less likely to have any issue with moisture and dampness. Each of the layers is effective at hindering the penetration of moisture. This means that there would be less issue of floor swelling or warping and a general reduction in maintenance. Since engineered hardwood flooring needs only a thin layer of the desired wood type and supplement of others, they are often less expensive when compared with solid hardwood. Engineered flooring is also regarded as being eco-friendly for a number of reasons. The veneer is manually sliced and not with a machine. This means that fewer wood materials are produced as sawdust which makes then available for other important activities. Additionally, the trees that are used for engineered veneer are usually fast growing when compared with hardwood trees. Engineered hardwood flooring does not have significant shortcomings. Although this type of flooring is cost-effective, there is still a host of cheaper ones that can be used on the floor such as tiles, carpets or laminates. At the same time, it is very important to select high-quality hardwood flooring in order to avoid problems of inferior qualities and manufacturing process. For instance, using a veneer that is very thin can hinder certain other refinishing and sanding work which can stand to extend the life of the original flooring. If you are thinking about selling your home, installing a hardwood floor can increase the value of your house and the sales prices. On the other hand, you can still enjoy the benefits of hardwood flooring even if you are not selling your house. There are a lot of things to consider when deciding on this. Some of the factors that scare the majority of people away are the purchase, installation, and maintenance price. Hence, let us consider both the pros and cons of solid hardwood flooring. Just exactly what's out there? Generally, solid hardwood flooring is available in a variety of forms such as strip, plank, or parquet. In strip flooring, an individual segment usually measures up to 2¼ inches wide and down to 1¼ inches (approximately). Parquet floors, on the other hand, are composed of singular squares arranged in geometric patterns. Generally, plank solid hardwood flooring is composed of wider strips than plank strips. Buying these flooring materials in an unfinished state will allow you to select the best stain that best goes with your style and color scheme. For the benefit of those thinking about installing solid hardwood flooring in their home, let us observe the pros and cons of solid hardwood flooring. As discussed earlier, solid hardwood flooring will improve your home value. Whereas, this value does not only heighten but also increases the chances of selling your home due to the presence of solid hardwood flooring when compared o wall-to-wall carpeting. Solid hardwood is a technical upgrade in the world of home construction as the extra charges for carpeting are eliminated. Noteworthy, hardwood flooring is durable and has lasted for decades in homes. The durability od solid hardwood flooring is beyond compared and if additionally cared for, it can last for over 100 years. For caring and cleaning a wooden floor, vacuuming and sweeping are all you need. This type of cleaning is effective and should be done on regular basis. You don’t need to make cleaning of wooden floors harder takes it to be. Regardless of the latency of your floor, either traditional, modern or somewhere in between, solid hardwood floors go with any kind of color, décor, and style. Woods like oak, walnut, cherry, and others can be stained and re-stained with any type of color to suit and change in needs and taste. Whether or not you change the color or décor of your room, hardwood flooring may require occasional review and re-finishing. Daily activities any cause scratches, scuff marks and blemishes which are part of life. Bear in mind that soft woods scratch and blemish easily than hardwoods. In fact, some areas of the floor prone to pets, children, and high traffic are more vulnerable to damage. Professionals will charge you per square foot for refinishing your floor while other factors like the type of floor, floor finishing, room layout, and other similar factors may be considered. In the process of refinishing your floor, fumes and sawdust will fill your house; so, prepare. And when it comes to fumes, polyurethane coating of high quality will do much in protecting your floor finishing. Some other negative factors associated with hardwood flooring are the cost and noise. If you are ready for the cost, then you have no problem. The noise, on the other hand, is a subject to the location of the hardwood flooring. Typically, the upper floor of a storey building is not an ideal place for installing hardwood floors. Hardwood Floors How To Choose? The most important benefit of hardwood flooring is its durability. It has been noticed that other than this type of flooring people submitted their complains to the manufacturers regarding the durability. While buying such products, the manufacturer will also force you to buy wooden floors. Such items not only enhance the durability of the area where you install them but also give an enchanting look. No other materials can do this as wood can do to enhance the value and look of the house. While selecting such items make sure that you have your requirements and what texture and type will suits your office or home. This technique saves a lot of budget and time. You will also need to figure out the thickness of the wood you will require. Putting in a floor of standard thickness could cause it to rise too high, making trouble for your doors and even the trim around your walls. If this is the case, you will want to go with a thinner product. Hardwood flooring can come either prefinished or unfinished. If you go for prefinished product, it will already be coated with polyurethane and will be ready to go. If you go for unfinished, the wood will have to be treated after you have installed the product. You can get unfinished wood for much cheaper, but the process of treating the wood after installation can be a big hassle, especially if you are living in the home. If you will be installing the floor yourself, you can proceed to purchase the materials. If you have little experience with installation, talk to the people at the store where you are purchasing the wood. They may have some helpful material for you to look at and some advice. If you will be hiring an installer, you can usually purchase the material through them. Whichever route you choose, you are sure to enjoy your new hardwood flooring for years to come. The tips that are stated above will serve as your guide and key to select the best hardwood flooring for your home or office. For those people who want to know and learn useful details about choosing the best hardwood flooring, conducting your own research or browsing different website is the best thing you can do. There are lots of websites that offer useful information, techniques and tips on how to choose solid wood or engineered wood hardwood flooring. Follow the tips mentioned above and rest assured that you will easily find the best hardwood flooring for your home. Changing the flooring pattern of your room can change its entire look. Since the floor is the foundation of the whole visual aesthetic of your room, using a style that aligns and best fits with the image you are trying to create is essential. Simply, there is no alternative to making the wrong floor selection. In case you are looking for sophistication and traditional beauty, hardwood floor is the popular and safe choice. Once you have made up your mind on hardwood flooring, although you choice selection process has just begun, there are several hardwood options to consider. There are several ways to personalize hardwood floors, starting from the wood type and finishing pattern. Each room has a unique feature and your floor should be a reflection of such characteristic. Every other minute component of the room depends on the floor and this must be considered. When going for a wood flooring, the first thing to consider is the type of wood to use on your floor. Each type of woods has their own unique grain pattern and unique designs to them. For instance, Maple has larger patterns and a smaller grain, which makes it perfect for an elegant formal study or dining room. On the other hand, oak has a broader and larger grain which produces more of a rustic and homey appearance. Ensure to consider carefully the grains patterns before selecting a type of wood as they have a notable effect on your finished floor. After selecting your wood type, the next thing to decide is the shade. Darker shades are popular in a more formal setting while lighter ones appear to be more open and entertaining. Also, do not forget that there would be furniture sharing the room together with the floor. So, ensure that the type of shade you select matches with the existing furniture or those you have in mind. Selecting floor shade color that goes with your existing furniture is essential except if you plan to change them completely. Selecting the wood type and shade is not enough; you still need to make decisions on the boards cut. The width and thickness of planks have a tremendous effect on the final look of your floor. Narrow boards (popularly called strip boards) are known to give a room a more contemporary appearance. If a larger number of small boards is it on the floor, it will create the impression of a larger space. On the other hand, wide boards create an earthier and country appearance. However, combining wide boards with light shade will create a comfortable atmosphere. Aside from all these, you will be required to choose an edge style for your floor. For each board, the edge can either be beveled or flat depending on the look you want your floor to assume. A flat and square edge gives room for a single continuous solid floor space. By far, this is the most popular hardwood form and it produces a smooth and finished feel. As for beveled edges, your floor will have a sense of depth and a three-dimensional effect. Bevels can also me made to custom sizes. The next factor is the installation pattern. The way you lay your boards have a remarkable effect on the look of your floor. The straight patterns are the most popularly used type and it includes placing each board in a straight line that is perpendicular and parallel to the walls. This pattern can be slightly modified to a diagonal format whereby the boards are laid at a diagonal angle to the walls. The herringbone and parquet patterns are also available for those who want to modify the pattern. There can be further customization of parquet patterns. Herringbone, for instance, is a style whereby the boards are arranged in a zigzag shape where each end forms a V with the next board. To round off the hardwood floor, there are several options available for coating your new floor and to give it a perfect look. Local oil finishes have been the most popular and commonly used finishing used for centuries on hardwood surfaces. Before oiling, brushing should be done I order to remove splinters and give the floor a more improved look. Other finishes include polyurethane like varnish and lacquer can give you floor a glittering and mirror-like look. Conclusively, hardwood flooring is a great choice for home furnishing if you can take your time to consider all the available options that will give your home that awesome look you desire. Nowadays trend of using wood floor has become popular for its variety of use and beautiful gesture. The taste of the people regarding interior design and other aspects like floor seems to more likely use woods. So cleaning wood floor has become one of the most significant concerns for the dwellers. So the question that comes first is how to clean your wooden floor? 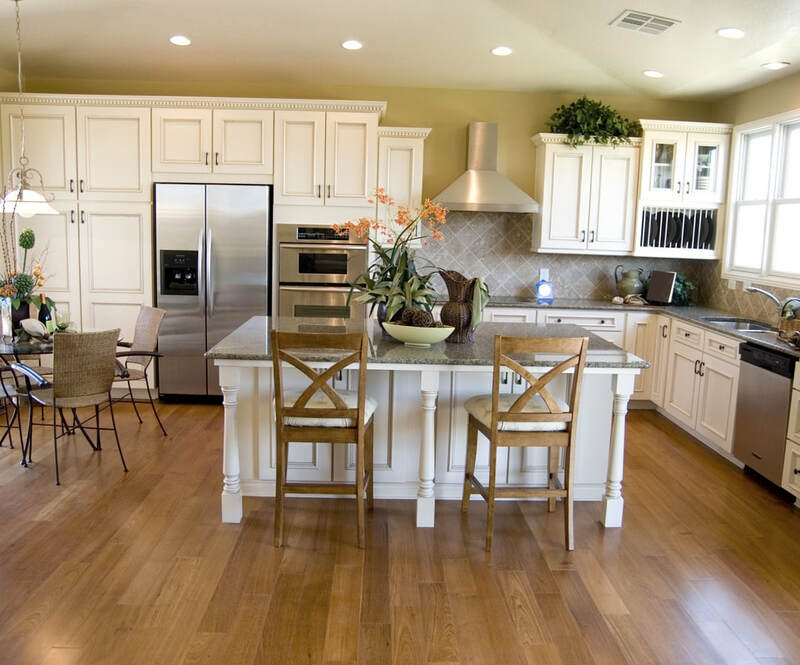 Before going into details about cleaning, one must acknowledge the different types of wood floors that are: solid wood floor and engineered wood floor, have different methods of cleaning. 1) Maintaining Regularity: Dirt is responsible for putting a scratch and dulling the surface of the solid wood floor. So wood flooring needs to be cleaned regularly with vacuuming cleaner and brush. 2) Avoiding Water and Spills on Flooring: Using water for cleaning may minimize the longevity of the floor as water is a threat for the wooden floor. So wiping with little damp mop can certainly do the job for cleaning the wooden floor. 3) Avoiding Contact with Sharp Objects: Nails of the pets or heels of the shoes can put scratches on the floor. So to avoid high heel shoes can certainly help out. 4) Protecting Flooring from Furniture: The tips of the furniture attached to the floor are responsible for scratches. As the center of the mass accredit on the tip so dragging furniture has a more damaging effect than lifting it. 5) Avoiding Prolonged Contact with Sunlight: Excessive sunlight may bring havoc for the floor as it becomes the reason for fading and tarnishing of the floor. Precaution for exposing the hardwood floor to less sunlight ensures its attractive outlook. 1) Maintaining Regularity: Cleaning the engineered wood floor is not a hard task to perform. It requires regular cleaning of the engineered wood flooring by a vacuum cleaner with soft attachment. 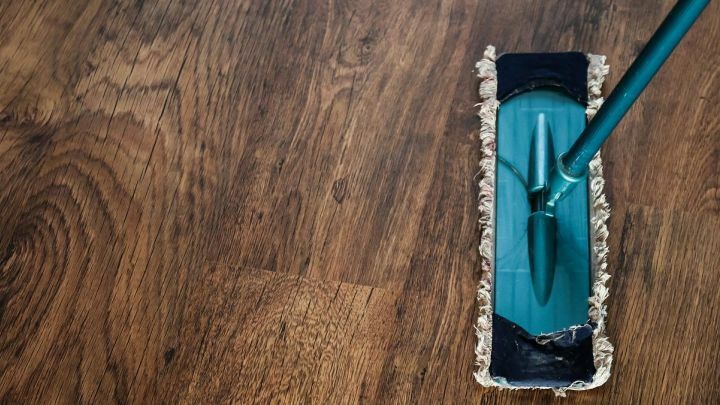 2) Measuring Use of Germ Killers: Use of germ killer floor cleaning liquid can damage the floor as water is considered as a threat for the wooden floor. So, its minimum use with a mop will reduce the chance of damaging floor. 3) Protecting Flooring from Sharp Objects: Rigid stuff including heel of the shoes, extreme of the furnishing stuff, the nails of the pets and other hard material may harm the wooden floor. Less use of those things and carefulness reduces the chance of scratches. 4) Choosing the Right Cleaners for Varnished Floors: Floors finished with floor oil, floor wax or floor varnish need to be cleaned by non-abrasive, PH-balanced floor cleaners to improve the lifetime of the floor. As always, prevention is better than cure. No matter how frequently this cliché is used, it is true in every aspect of household maintenance. So, prevent contact with sharp edges, stains, and spills, pets and heels as much as possible. Nevertheless, be careful to cure what was left to be prevented. 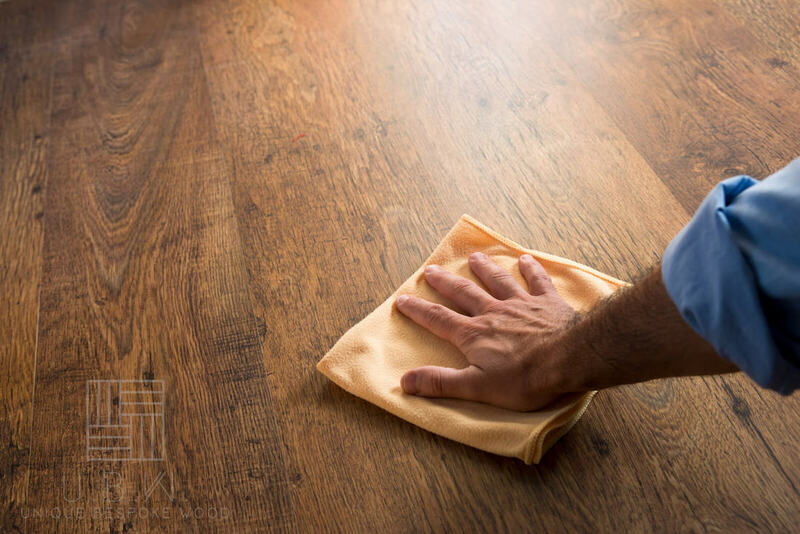 Clean your wood floor frequently to ensure its shine doesn’t wear off faster than the anticipation that you have for its beauty. When it comes to setting up a house, families nowadays are looking for smarter and less costly ways to improve the beauty of their living space. Flooring is an essential part of the home that needs attention. However, there are endless options available for flooring and can be one of the expensive aspects of setting up a home. The options to choose from include tile, carpet, wood, concrete, and parquet. Parquet flooring is a type of floor design that is often been overlooked. Whereas, It is very durable, easy to install, and can last for years, and it essentially adds beauty to any room of the house including the kitchen and basement. Parquet flooring can be installed over existing floors such as concrete, laminate, hardwood, and ceramic tiles which make it easily installable via DIY. Solid parquets are blocks of woods that are glued down to form different patterns. The most common type of this is the herringbone pattern. The thickness is usually between 3/4" to 5/8" and is glued down in lieu of nailing as found traditional hardwood flooring. Basically, parquet panels are veneers of hardwood that are glued to less expensive woods such as the plywood. The veneer is installed with glue by making use of tongue and groove joints. Parquet flooring is comprised of square pieces of wood arranged in a geometric design. There are several options available for parquet flooring. These options include parquet bamboo, solid parquet, laminate, multilayer, mosaic, lam parquet, and so on. The types of parquet are the cherry tree, oak classic, beech, maple, and wood types. Parquet flooring has a lot of benefits. They are easily cleaned and very durable against stains and spills. It also offers more advantage over synthetic based and carpeting floor systems. Parquet floors are easy to clean. Whenever the floor shows a sign of damage, the outer part of it can be refreshed by applying light sanding and using varnish to reseal them. Parquet floors can be installed directly on a concrete basement. The demand for prefabricated parquet is high. Beech is preferred over oak and the most popular type of wood used. In fact, these prefabricated parquets are now available with waxed, pre-oiled or finished surfaces. The aim of this product producers is to make the surface easy to care and resistant to scratch as much as possible. The light color products are mostly demanded by customers while producers recommend the strip method of installation. Long ago, parquets are made from strips of woods that are affixed into square blocks. However, this type of flooring was highly responsive to water and moisture which often result in damage when exposed to humidity. In recent years, parquet floors are made of hardwood or plywood with a laminated finishing. This makes it resistant to moisture and can be installed starting from the basement level. Today, parquet flooring is gaining more attention in the market. This is due to the increase in environmental and health consciousness where more and more customers are running to parquet flooring. Parquet floor can be easily installed even without hiring a professional. To save cost, you can install a parquet floor yourself (DIY). You only need the service of professional installers in areas with high traffic or if special customization is required. Parquet floors are very easy to clean and maintain. To clean your floor, use a microfiber dust mop to remove all the dirt and dust particles. A little moping activity is enough to remove the dust. In case you have an allergy or asthmatic, parquet floor is the right option for you. Small damages such as scratches or dents can be easily fixed. However, the case is different for major damages. Here, you may need to completely remove the damaged piece and replace them with new ones stacked with glue. Lately, a lot of durable products are available in the market. There is three (3) moisture protected flooring options namely waxed, pre-oiled, and plain finish. Due to the high decorating value of parquet floors, you can create your own custom floor pattern. They come with small pieces of materials which are of high decorative value. They are available in different color and shade. Oak is a very popular sample where you can pick the light or dark color scheme. As for pine, you can pick either dark yellow or brown. Pinewoods come in stripe and swirl design. More so, due to the availability of different signs in the market, you have enough options to choose from. You can use parquet wood flooring anywhere in your home. You can use it in the living room, bathroom, bedroom, kitchen, and even in office. Don’t be amazed, there are waterproof and moisture resistant parquet floors that are specially designed for bathrooms, kitchens, and other water-prone places. 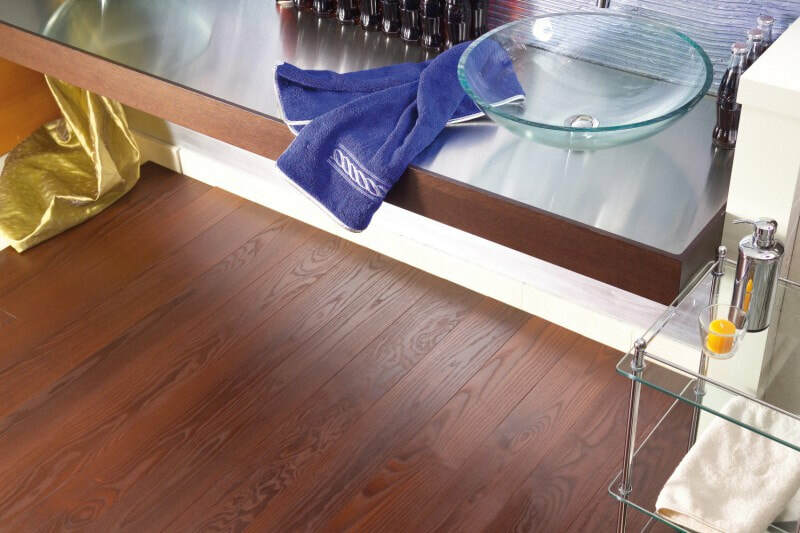 For instance, bamboo and Brazilian cherry are recommended as they are more durable in humid areas. Additionally, it has been proven that parquet flooring is good for your conference room or other meeting rooms of your working place. Although parquet flooring is very expensive and costly to set up, the benefits worth the value. Parquet floors can retain its fresh and gorgeous look for decades. Hence, you do not need to change your floor often. Having known the benefits of parquet flooring, you should be able to make a better decision or your next floor. Perhaps, that is why area rugs exist! Whether you’re looking for Smoked wooden floors, hand scraped wood flooring wire brushed hardwood flooring, thermally treated wood floors, fired wood flooring, discover the wide variety of flooring finishes to customize your interior space. Today, many processes provide for a variety of decorative effects for your wooden flooring. Some of these processes are Smoking, Hand scraping, Wire brushing, and Thermo or Fired wood flooring. Some can be stained, aged, hammered, saw-cut, and sanded, etc. 1. Smoked wood flooring is comparatively new on the wood flooring finishes block, but it is already making its wave and gaining much popularity. Smoked wooden floors are made by leaving woods that are untreated in an atmosphere that filled with ammonia. It is an authentic way to keep within bounds the color of natural wood, smoking, or fuming has the final effect of darkening the wood by bringing the tannins to the upper surface. Hand scraped wood floors give the room a cozy atmosphere and warm look, with some patterns variation in each plank. Hand-scraped refers to the texture of the floor surface. The original plank for this flooring style is scraped to produce a refined or rustic texture on the surface. 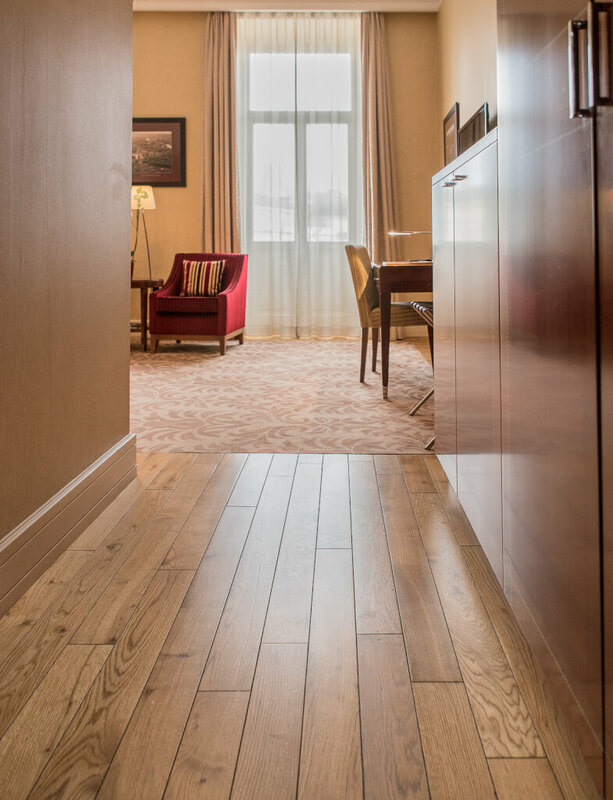 The hand scraped wood offers a practical and beautiful flooring option for your room space. Hand scraped wood flooring options are popular these days and have been endorsed by many homeowners because of their distressed look and vibrant color which produce incredibly beautiful floors. Wire brushed hardwood flooring offers a subtle texture to your floor while still maintaining its smooth appearance. The soft grain is pulled from the growth ring while leaving the heart wood exposed to the surface and Then Craftsmen hand sand each board to a level of elegance and smoothness. Wire brushing helps create a durable floor that can withstand any mishap from daily occurrences. Wire brushed hardwoods are offered in some varieties in solid and in engineered hardwood. 4. Thermo or Fired wood flooring. Thermally treated wood floors have gone through a non-toxic and natural process that essentially cooks the wood, thereby changing the entire makeup of the wood. The Wood is heated to 400+ degree heat in an environment that is free of oxygen. In Thermo or Fired wood flooring, the wood is heated to remove the organic compounds in the wood cells, so that it will no longer absorb water, contract or expand, and can no longer provide sustenance for fungi and insects. The process naturally produces durable wood that is everlastingly resistant to insects, water, and decay. Because the wood is not absorbing chemicals to be treated, but rather removing moisture, the wood is lightweight. Many products offered in this category are rated for 20 or 25 years of exterior use. The gradual heating process leave gives the wood a rich and dark brown appearance which gives it an unexpected tropical look. The product is light in weight, durable and can last up to 20 or 30 years of interior or exterior use. Oak or Ash wooden floors? If you are one of those people who can’t decide about the type of wood flooring to be installed in your home, it is very important that you know the different wood flooring that will fit in your home. Oak wood flooring is a favorite of decorators, designers and architects. It is also now a favorite of the average homeowner. 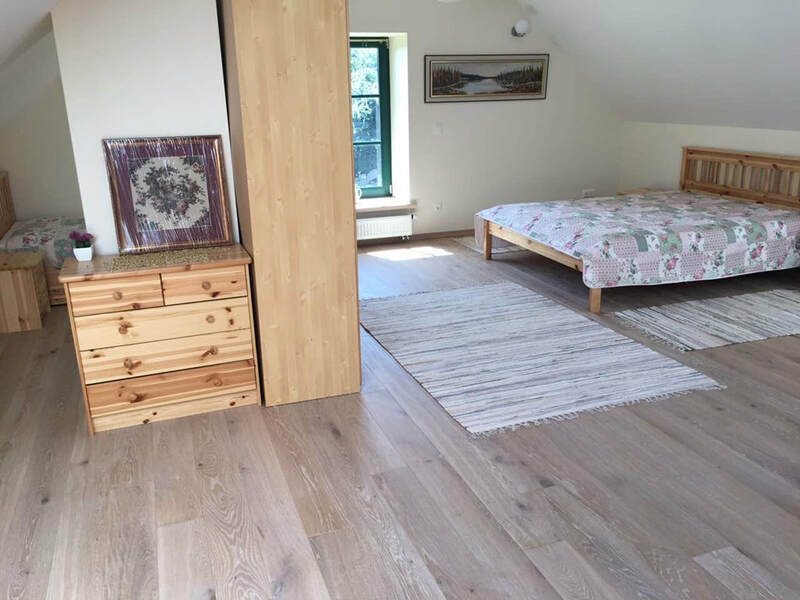 Many may have put off having oak wooden flooring installed in the past because they perceived it as too expensive, too much hassle to install and too easily damage. However, none of the above actually applied anymore so now you have no excuse. Oak wood flooring is today readily available from numerous suppliers all over the UK. As a result, it is extremely accessible and no longer as exclusive as it once was in terms of the price. New technology for creating the flooring has lowered the price drastically. Many companies only use sustainable wood from sustainable forests so your home will not have a major impact on the environment in that way. Affordable and available oak wooden flooring can put the finishing touches to any room because it comes in a variety of different styles. It can actually help to capture the light in an Old Italian style kitchen or compliment wooden sideboards in an Old English kitchen. It can complement yellow, blue, red or any other colors of sofa in a living room, and it can bring out subtle tones in the wall décor as well. Oak wooden flooring can achieve any effect that you want and need after it has been installed and installation is not that difficult either. Ash wood flooring is versatile and can be used in a variety of applications from tools to sports equipment and even furniture. Black Ash is a medium dense wood, similar to a Black Walnut, but softer than White Ash. This allows Ash wood to be used in various types of furniture, modern contemporary ash furniture designs and also more traditionally designed furniture. Ash wood is odor free because of which it can be used to make serving utensils. Ash wood is a user friendly wood and takes easily to glue, screws and nails. Though it is hard, the wood bends well and allows a smooth finish because stain and paint adhere well to the wood. Ash wood is typically easy to sand and machine. In addition to this, ash wood is resistant to decay in the heartwood. This makes it durable and requires low maintenance. One of the best things about ash wood is that it has the best strength to weight ratio and is therefore used to make baseball bats. Since most players do not want a bat greater than 32 oz. this becomes significant. It is also used for tool handles and other sports equipment. Ash furniture tends to be more easily available and is cheaper too. In comparison to Oak, ash wood has the same high quality standards as Oak, but at a more affordable cost. Engineered or solid wood parquet flooring? Where and Why? 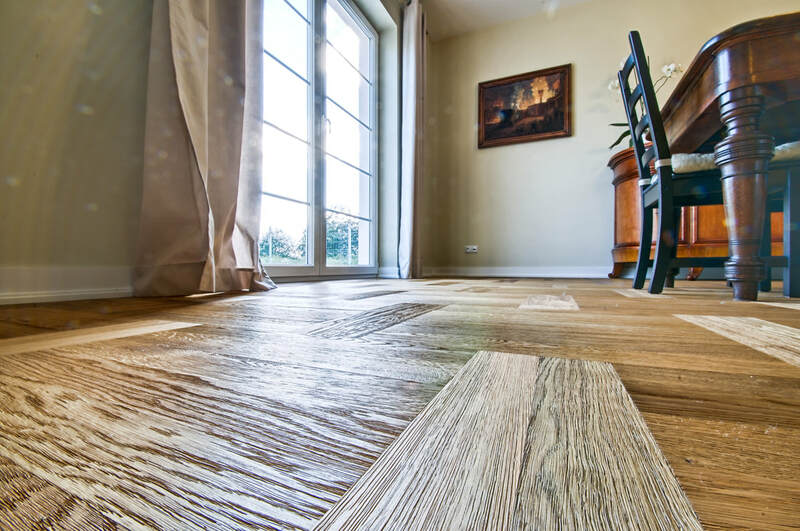 Before we look at whether to use engineered or solid wood and where or why to use parquet flooring, lets first understand what a parquet flooring is? As you may have known, using a solid or engineered wood means using the long straight wood planks to floor your home interior. Unlike the long wood type, a parquet floor style uses short strips or blocks of wood to create a tiles pattern which makes your home floor looks designed in a checked pattern. What is engineered wood parquet? As already discussed in a previous article, engineered wood parquet is made of the cleverly constructed core board, comprising of layers of plywood bonded and hard-pressed together to become a high-density material that is strong and can withstand the rugged use of flooring. The core board is topped with a lamella or layer of solid wood to give it a preferred look of the type of wood required. What is solid wood parquet? Parquet is made from solid wood cut into required sized and prepared for flooring purposes in the styles desired. The pieces are made directly from the chosen solid wood. They come in different types of available hardwoods used for flooring. Therefore, whatever species or grade of wood you need, you can have it already done into parquet for easy installation. Where can you use parquet wood flooring? The place to install your parquet flooring would determine whether using engineered or wood parquet would be ideal. When considering a place of installing a new floor, it is essential to consider the moisture level in the sub floor. Typically, moisture level should not be more than 3% and to come to this figure, it is recommended to take repeated reading of the entire floor to be certain. 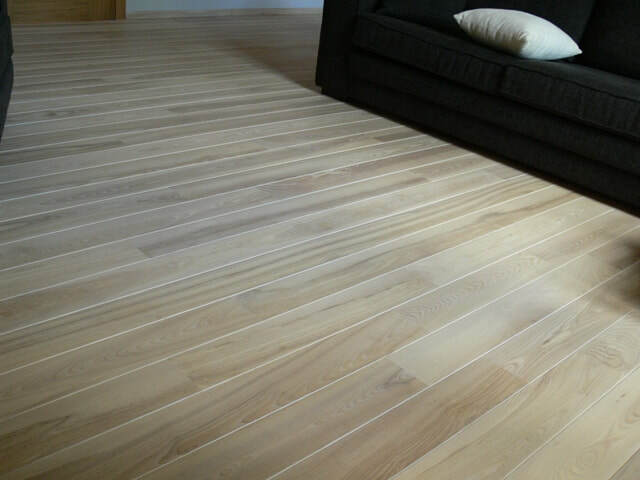 If the moisture level is found to be higher, the best material for flooring such environment is engineered wood flooring. Engineered wood can withstand moisture level that passes the standard tolerance threshold for solid wood flooring. Ideally, if you are flooring a bathroom where moisture level will be higher or the kitchen where the temperature is expected to be higher, engineered parquet wood flooring is also recommended. 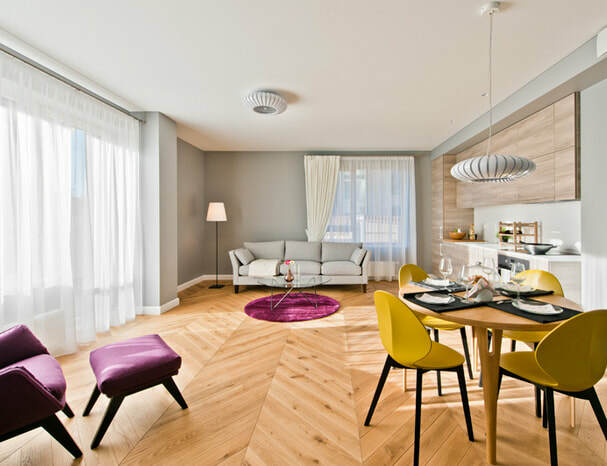 Why should you use parquet wood flooring? Higher temperature. Solid wood can become warped under high temperature, but engineered wood will not. High human traffic. 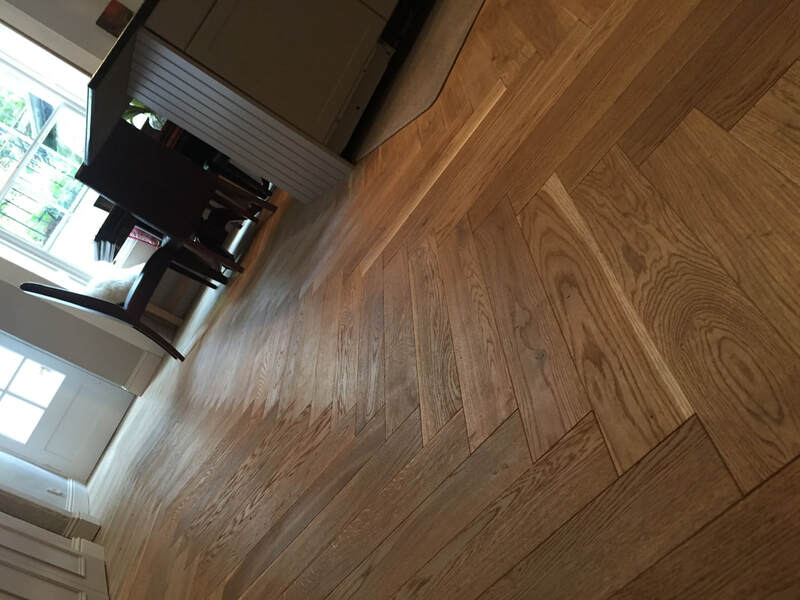 When heavy footfall would hit the place where wood flooring is installed, it is not advisable to install engineered parquet wood flooring because the veneer or lamella would wear off quickly because of sanding. The best installation is solid wood which withstand heavy traffic than engineered wood. Although, engineered wood might work if you don’t mind frequent replacement of the top surface (veneer) and the associated costs.